Dubai, as everyone will agree, is not a cheap city. It’s expensive and traveling to Dubai and enjoying sights and food and stay on budget is not easy. That is, not easy unless you really work on it. We can help you with useful tips on how to travel to Dubai and enjoy Dubai to the fullest without spending a single penny more than your set budget. So here’s how to tour Dubai on the lowest budget. Obtaining cheap plane tickets is the very first item on your list, and here’s how to score budget tickets. Fly to Dubai on one of the Middle East’s airlines and you can enjoy cheap rates. 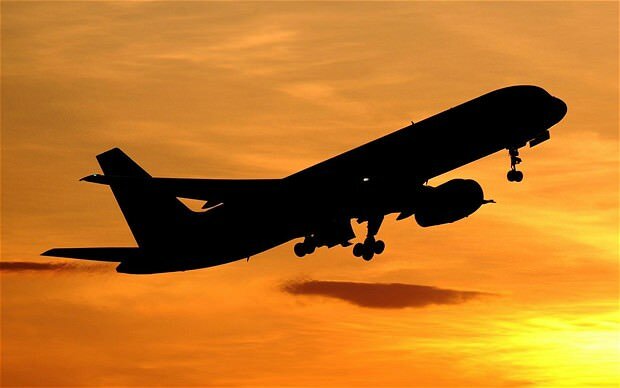 FlyDubai, Emirates, Etihad Airways – these are airlines that originate from the Middle East. Keep a watch on bargain air flight sites and the moment the airfare hits your magic budget number, book it. Small hotels and hostels are comfortable, neat and are provided with fast Wi-Fi access too. 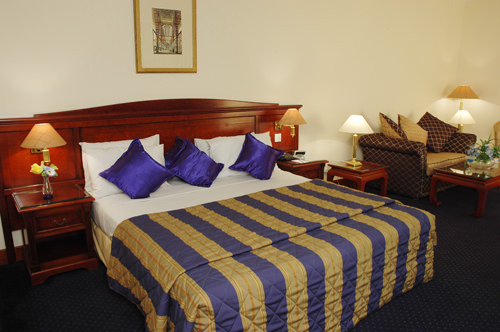 Look for hostels in the Al Barsha area, and in Deira and Bur Dubai and other areas of downtown Dubai. You’ll also find some affordable apartments for 4 people on a sharing basis. That’s one of the best things to do in Dubai on budget. 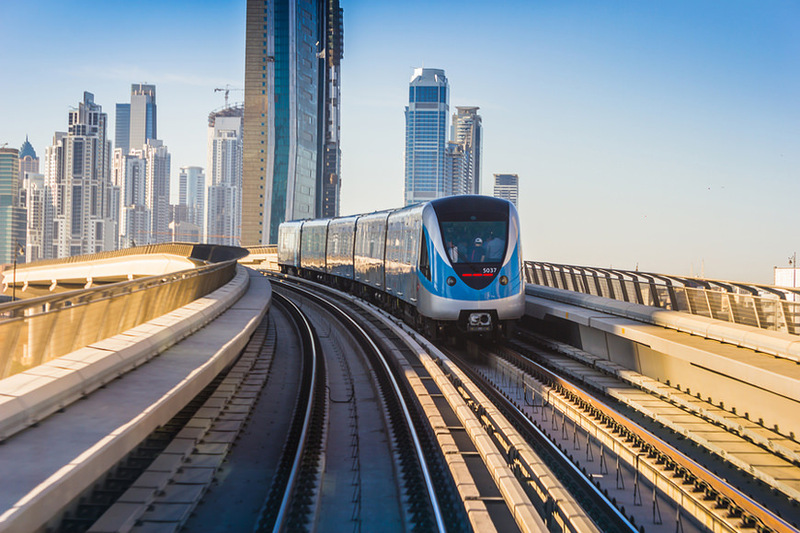 A city metro ticket serves you for an entire day and costs only 14 AED. Use a taxi only if you’re going somewhere not served by the metro. Also get hold of a Nol card – you can pay for multiple transport services through it. You can also enjoy low cost fares and flexible transfers across different modes of transport. You can use the Nol card for buses, the metro lines, taxi cabs and so on. If you plan ahead, you’ll find that many attractions are actually free or have very low entry fees. You’ll also find that there are ways to get what you without spending big bucks. Read on. · Old Dubai: You don’t need to pay for a stroll around the souqs of Deira and Bur Dubai. Check out the spice, perfume, carpet and gold souqs and do window shopping to your heart’s content. Cross the creek paying 1 AED – one of the great joys that comes for next to nothing. · Historic Neighbourhood: The old Bastikaya quarter is now called the Al Fahidi Historic Neighbourhood. It’s a charming little heritage site where the original sand walls still stand. There are cute concept stores, cafes, and art galleries that are all free to browse and enjoy. · Dubai Museum: Check out the Dubai Museum near old Dubai; admission is only 3AED so it fits within your budget. Check out the wonderful dioramas that depict the early pearl diving and fishing industries of Dubai before oil was struck. · Dubai Marina and JBR: The classy areas of Dubai Marina and Jumeirah Beach Residence are totally free to check out, so feel free to stroll down the famous JBR walk and look at the multimillion dollar yachts and cars parked there. 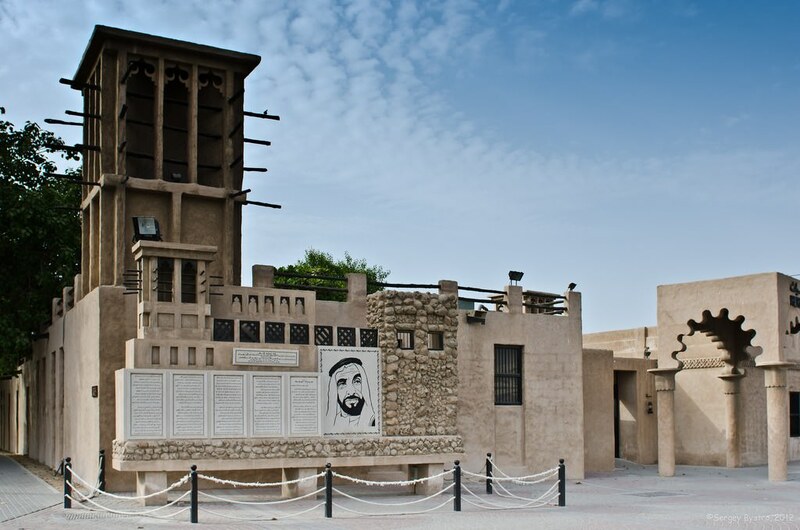 · Heritage Village: The Heritage Village showcases the way life used to be in Dubai before it prospered. Just check out the authentic Bedouin tents, the sheep, the handicrafts, the traditional clothing and the food that the nomads used to cook. · Ripe Food & Craft Market: It’s a local food and craft market that’s very beautiful and full of tempting treats. If you’re in Zabeel Park on a Saturday, don’t miss out on this cheap but wonderful event. · Dubai Aquarium: You can check out the aquarium at the entrance of the Dubai Mall for free, instead of paying the fee to see the whole of it. 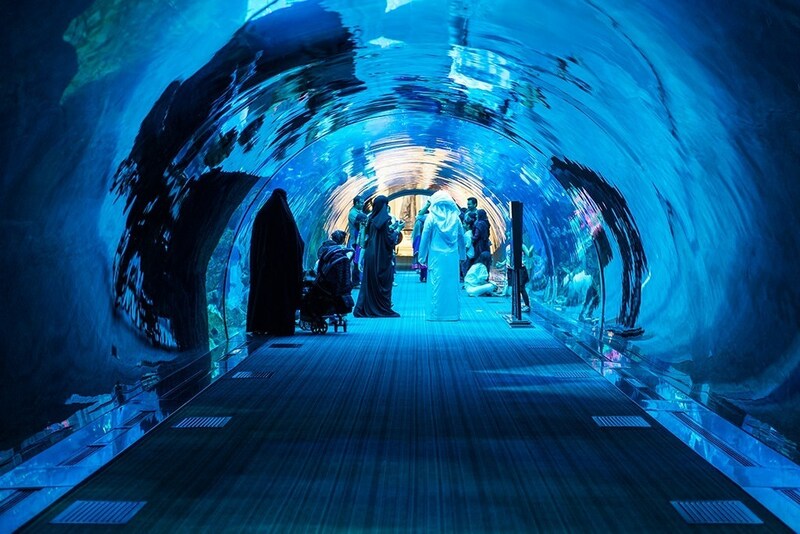 Admire the fish, the stingrays and the sharks in the huge aquarium glass wall for free. Check with tour operators if you can avail the Dubai Aquarium combo ticket for less and take in the aquarium and the Burj Khalifa At The Top Experience. · Dubai Mall and Fountain: Enjoy the souks, the Village with its umbrella-strewn ceiling and the waterfall atrium all for free, unless you buy something. Enjoy the Dubai Fountain for free from either side of the Burj Park. · Burj Khalifa: and catch a fantastic view of the Burj Khalifa; if you want a better view, walk around to the fountain’s other side to the entrance of Burj Park on Sheikh Mohammed bin Rashid Street. You’ll enjoy a lovely view of the building from here. · Jumeirah Mosque: This is the only mosque in Dubai that’s open to non-Muslims as well. A must-visit, it costs AED 20 for a full guided tour of this beautiful and serene mosque. · Beaches: Dubai has several beaches, both private and public. While the private beaches are no-access, several beaches are open to the public such as the Jumeirah Beach. It’s your chance to soak in the sun with the stunning backdrop of the fascinating sail-shaped Burj Al Arab. You can also enjoy a number of water sports at this beach. Check out Indian restaurants which offer a full meal at very low prices. Hit grocery stores that sell takeaway food and ready salads. The food is always more expensive in the city centre. You’ll be looking at 50 to 100 AED per meal in most cafes and restaurants and even the Dubai Mall eateries don’t have anything for less than AED 30. Check out the Deira Food Street which is home to every popular international cuisine. Chinese cuisine is the most economical and most commonly available other than Arabic fare. Also hit the Dubai Al Diyafah Road, another street famous for excellent eateries. When you’re on budget tour, it’s ideal to cash in on buffet brunches and lunches so you can stuff yourself and save money. Even fine dining restaurants have happy hours where a sumptuous meal is offered at very low cost. Visit the ‘Centimetro’ at Souk Madinat Jumeirah between 5pm to 8pm and enjoy some unbelievable discounts and cheap eats. While you’re at it, check out the Rangoli Thali Restaurant at Meena Bazaar for all-you-can-eat breakfast. 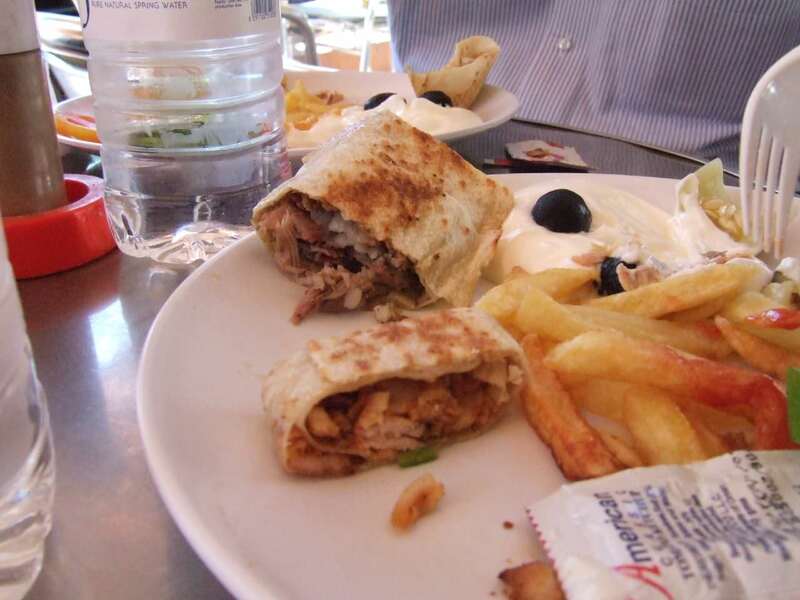 Don’t give Dubai fast food a miss either – it’s quite likely the cheapest and the fastest option. Dubai may be an extravagant city, but there are ways for a backpacker on budget to not only eat well, but enjoy the city and its sights to the utmost. Just know your budget and how much you’re willing to spend on entry fees to sights and food. Once you have your math in place, you can go ahead and travel on budget in Dubai.